"Less is More": We are celebrating 4 Years of "Less is More"
WOW also our Sponsors for February! I'm sure you'll have come across Michelle but if not check out her AMAZING blog and video tutorials plus details of what products she's used on her GDT card. 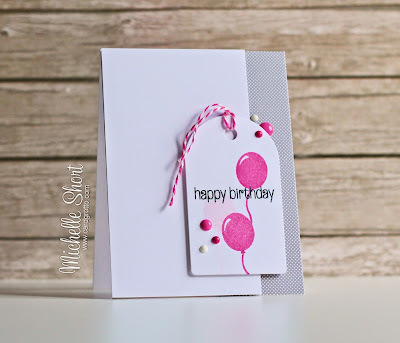 I used Wplus9's Whole Lotta Happy stamp for the balloon with 3 shades of pink pigment inks from Mama Elephant (blush, piggy bank and lollypop). 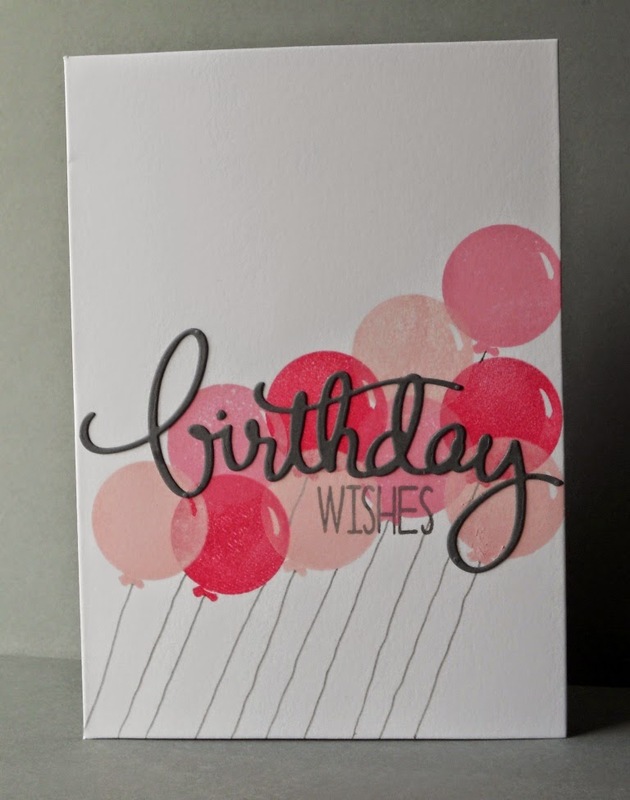 The birthday script die is cut from grey card and the wishes is from Whole Lotta Happy too. Strings were hand drawn with a distress marker (pumice stone). Where have those 4 years gone? LIM has gone from strength to strength, it's barely recognisable nowadays to how it was in 'the old days' Amazing achievement from Chrissie and her team. My business is going fantastically, I love every moment. My only regret is that I'm not 10 (or 20) years younger! This uses a beautiful birthday set called: Balloon Bash along with some sentiments from the new sets too. More will be revealed this week! A little sneaky crafty trick here to create my grey stripes (may not be new to you talented folk) but I used the back of one of the Uniko Studio background builders stamps to create them and I like how it's turned out. 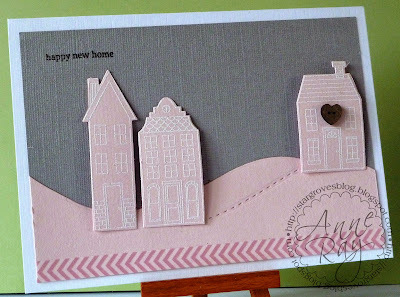 I seem to have made a lot of new home cards lately, can't think why it's on my mind! 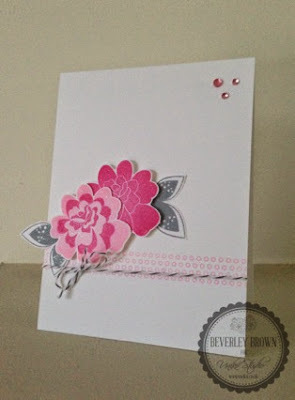 This uses Stampin' Up holiday home white embossed on pink. The background is cut with a Simon Says die and I've added some washi tape and a White Stuff clothing button, coloured grey with my Copic pens. This utilised a home made stencil inked with Distress Inks, stamped with SU Gorgeous Grunge splats and embossed with silver EP. The base layer of the Memory Box butterfly was inked with distress inks, stamped with floral images and also heat embossed with silver. The leaves are from Memory Box. The sentiment is from Clearly Besotted, I think it echoes the line of the butterfly beautifully! The front panel is cut with a stitched rectangle, elongated slightly to fit British measurements, from Simon Says Stamp. Thanks Kathy, I had already looked at that, but not being brave enough I looked at all the gobbledegook and backed out... with your encouragement I did the deed. You are VERY welcome - glad it worked! Happy Birthday! I love your challenges - it's the first place I check on a Saturday morning. I have "met" so many wonderful crafters through Less is More and gained so much from entering my cards that I would highly recommend the challenge to all! Happy 4th birthday. Still haven't played along as often as I would have liked, but I do check the challenge blog every Saturday morning. Such a fabulous line-up today and I do love this colour combo, so I definitely intend to join in on the fun this week. Happy Birthday Less is More! Long may your challenges continue. Thanks for having me guest again - can't wait to see the gallery fill with pink and grey. Congratulations on your four years. Although I have only been joining the challenges for about a year, I feel you are family to me. And I have learned so much along the way. I hope I can continue to see great challenges and keep up with them. My heart is with you, thank you for inspiring me every week! Congratulations on 4 Years of sheer creative joy !! 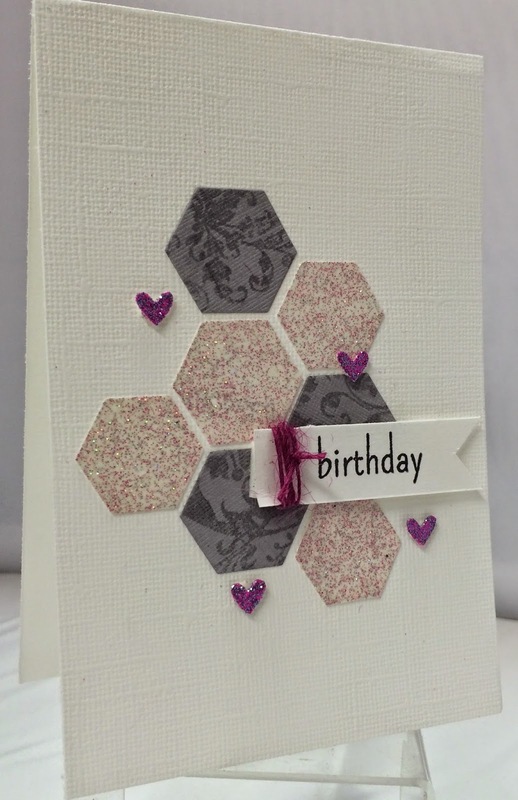 Wishing the team continuing success in the future and I, for one have been converted to CAS cardmaking. I Still haven't played along as often as I would have liked, but I do check the challenge blog every Saturday. Such a fabulous line-up today and I do love this colour combo, so I definitely intend to join in on the fun this week. Happy 4th Birthday! Wow, time flies when you are having fun! Less Is More is one of the first challenges I ever played along with, and I am always happy when I find time to play along these days! I hope to join in on such a special occasion! Lovely cards by all the DT (so nice to see Mandi back today! )...thanks for all the inspiration! And you are missed! I'm happy that you are enjoying your current business...your website is cool! Congratulations on your 4th birthday Chrissie and to your team-mates. So very well done in your achievements. ALWAYS something lovely to see, even if I rarely enter, I do keep up. Happy birthday to you. I love all the cards in the inspiration today! I'm just starting to do challenges and you really learn a lot from others. Thanks for assuring me that my adapter plate is okay. That was the first time I used it and I was stunned that it curled! I'll turn it next time. I love coming here and seeing all the wonderful cards that are shown. I love the look of less is more cards. Huge congratulations on your 4th Birtrhday, I missed the first post black, white and pink, if my memory serves me right, I was gutted, but did enter quite a few times as my blog is Plain and Simple but nothing to match the fabulous entries that you have had over the years and I am so, so pleased that this challenge blog has risen to great heights because it has shown that the short sighted, ignorant person that posted the horrid post in the first few months has I am certain has had to eat her words. I have been a poor participant in the challenge over the years but have still followed it with awe and admiration. 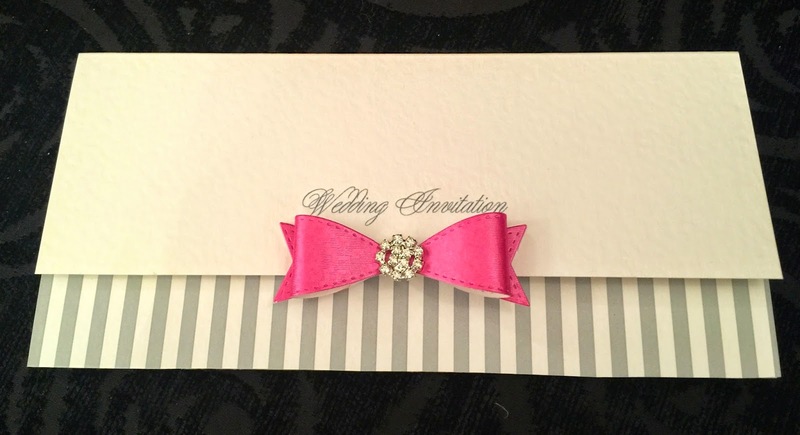 Happy 4th birthday...fabulous cards and really amazing giveaways. Thank you for the 4 years of inspiration. Four years? Oh I am so late to the party... love every visit, and every gorgeous, inspirational card!! Congrats LIM... I do hope to play along! Yay I have entered...after following the blog since it began I thought it was about time! Happy Birthday! I love your challenges. Happy 4th Birthday LIM, thank you for all of the great challenges and fabulous inspiration each week. Congratulations LIM wow 4 years!!!! Thank you for all the inspiration and the great challenges loved playing along and still do. Hope for many more years to come. Congratulations on your 4th Year Anniversary!!! Thank you for the great color challenge. One of my favorite color combo! Congratulations to all on the 4th Anniversary. I had put a card into the challenge, but had misunderstood that the colours were to be only pink and grey so I have withdrawn it. I'm back again with another card! So sorry I blew it with the white space in my entry #137. I will delete it shortly! I appreciate the feedback!